Price listed is for each cuff bracelet. 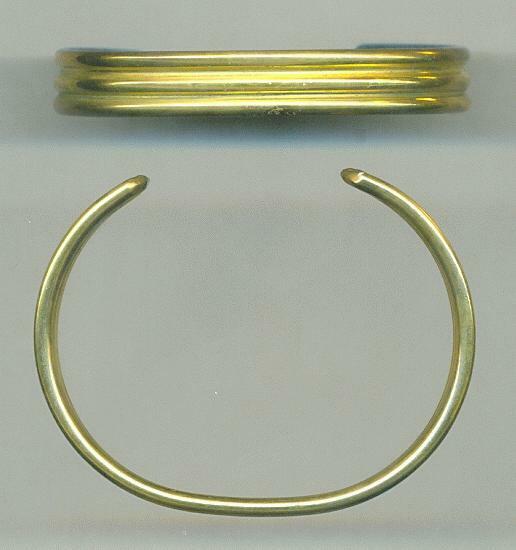 These are brass cuffs measuring approximately 5 1/2'' inside with an about 1 1/8'' opening. These are about 9mm wide and have three ridges. These may need to be polished. Some of these will have dark spots.